A U.S. couple working with a Pakistan Dominican priest have brought Christmas relief in getting a home for the three children whose mother and father were brutally killed, accused of burning Qur'an pages. 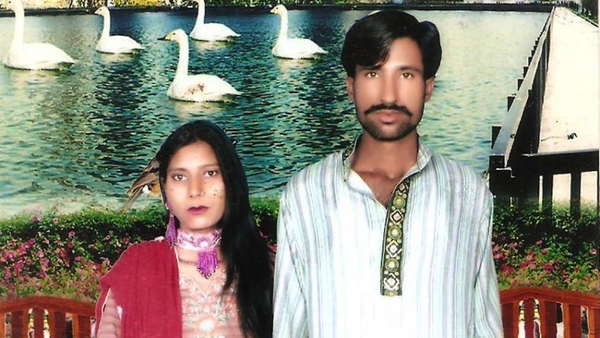 The slain Christian couple Shama Bibi, who was four months pregnant, and her husband Shahbaz Masih, were bonded laborers at a brick factory in the village of Kot Radha Kishan in eastern Pakistan. Strong criticism followed the brutality of the killing of the couple, who were never convicted of the blasphemy they were accused of in the Punjab province, 28 miles (45 kilometers) south of Lahore. Communities showed support for the three small orphaned children of the couple. Dominican priest, Father James Channan, together with other Christian and Muslim leaders and scholars in Pakistan, has actively sought justice through the Pakistan Supreme Court and with political leaders. He then facilitated the buying of a new house for them by Jill and Scott Kelley from the United States, who were touched by the orphans' plight. There have also been calls for justice highlighting the injustice of Pakistan's blasphemy law that is disproportionality aimed at the countries tiny religious non-Muslim minorities. The (Presbyterian) Church of Scotland on December 12 called on Pakistan to amend its blasphemy law which it said is is being used to terrorise minority faith communities. In a letter to the High Commissioner for Pakistan to the UK, the church's Moderator, Rev. John Chalmers, expressed his shock at the continued attacks on Christians by people using the blasphemy law as an excuse. "The misuse of the blasphemy law is disproportionately amongst non-Muslim minority faith communities and we raise this issue with the High Commissioner because of the pleas of our partner church in Pakistan," said Chalmers. The president of the Pakistan Christian Congress, Nazir Bhatt, warned that the country's blasphemy laws are essentially a license to kill Christians, in a report carried by the independent Gatestone Institute. A spokesman for the family of the two victims said they were accused of blasphemy, and hid. But mobs of Muslims found them, tore apart the room where they had taken refuge, and more. "The mob beat them and broke their legs so they would not be able to flee," the Gatestone report said. "They were then held over an open kiln until their clothes caught fire. 'They picked them up by the arms and legs and held them over the brick kiln until their clothes caught fire. And then they threw them inside the furnace,' according to Javed Maseeh, a spokesman for the family," the report said. Bhatt said, "But one false allegation of blasphemy, and the police put Christians behind bars, and courts award them death sentences. That practice indicates that blasphemy laws are only legislated to target religious minorities in Pakistan." Pakistani Prime Minister Nawaz Sharif called for justice for the "murderers." Father Channan of the Dominican Peace Center in Pakistan said in the Gatestone report, "Our present government has the worst record of not punishing the culprits of these cases. All of them are set free after a short time." Many of those accused never face a court or trial, being "killed extrajudicially." "Sadly, the leadership and media of the West do not even notice that three million Christians in Pakistan live in fear for their lives. "While some international organizations are struggling to make blasphemy laws obsolete, the world's most powerful leaders have been mostly silent about these crimes," Gatestone reported. In a statement after the killing Channan said, "These laws are so dangerous that once a person is accused, his or her life in Pakistan has become impossible. "Even if the courts eventually declare an individual innocent, radical Muslims may still murder the person, which is considered an act worthy of praise. "What should be done? Pressure on our government from other countries will help. The United Nations should get involved and condemn such crimes against humanity, while appointing fact-finding commissions to investigate matters on the ground."